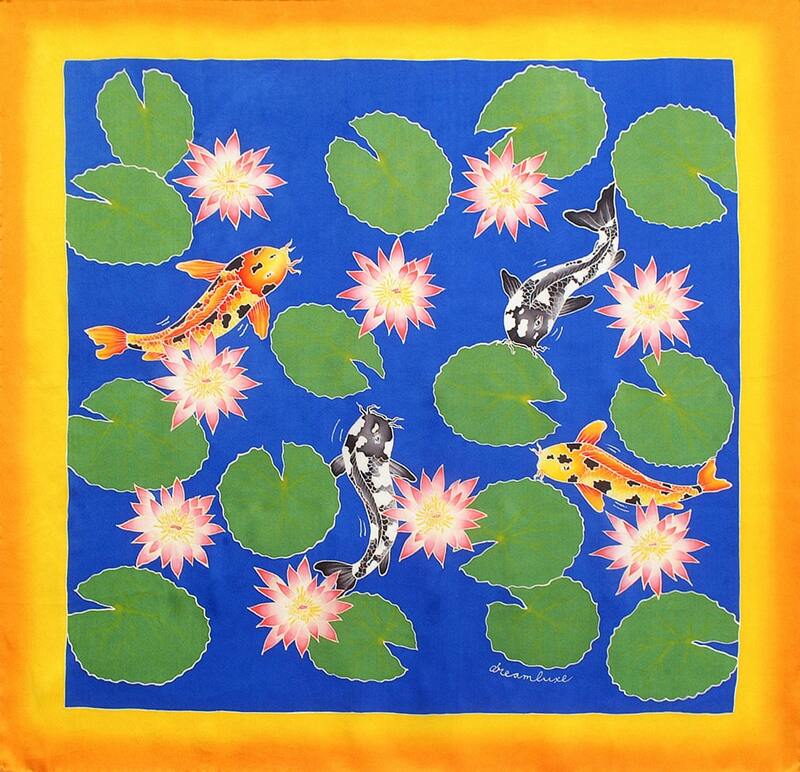 Wrap yourself in this gorgeous and luxurious large square silk scarf with colorful Koi fish swimming among pink lotus flowers and leaves. 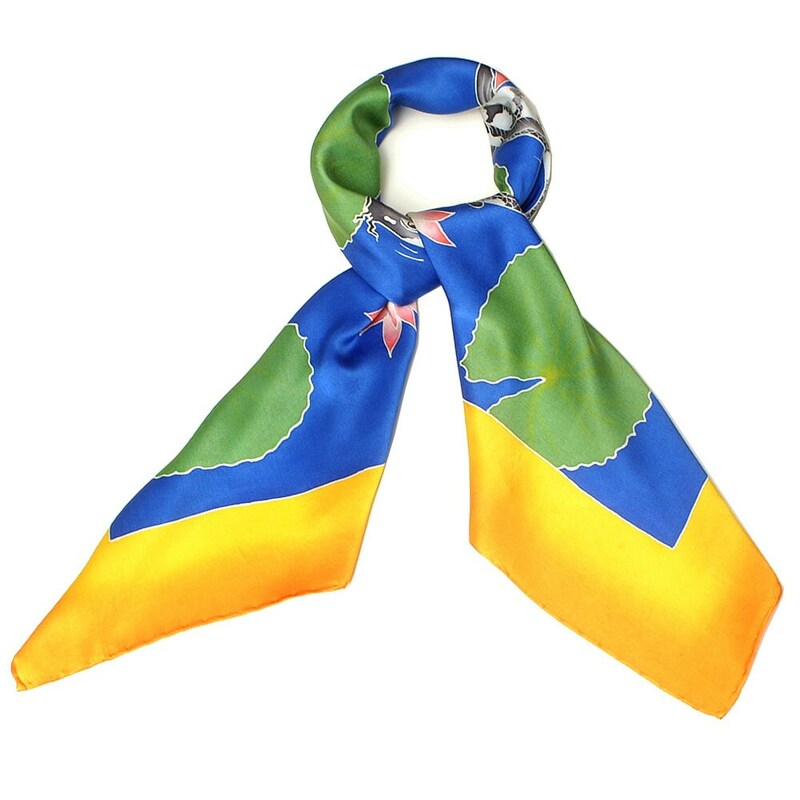 This silk scarf has beautiful vivid colors with blue water and a yellow-orange edges. 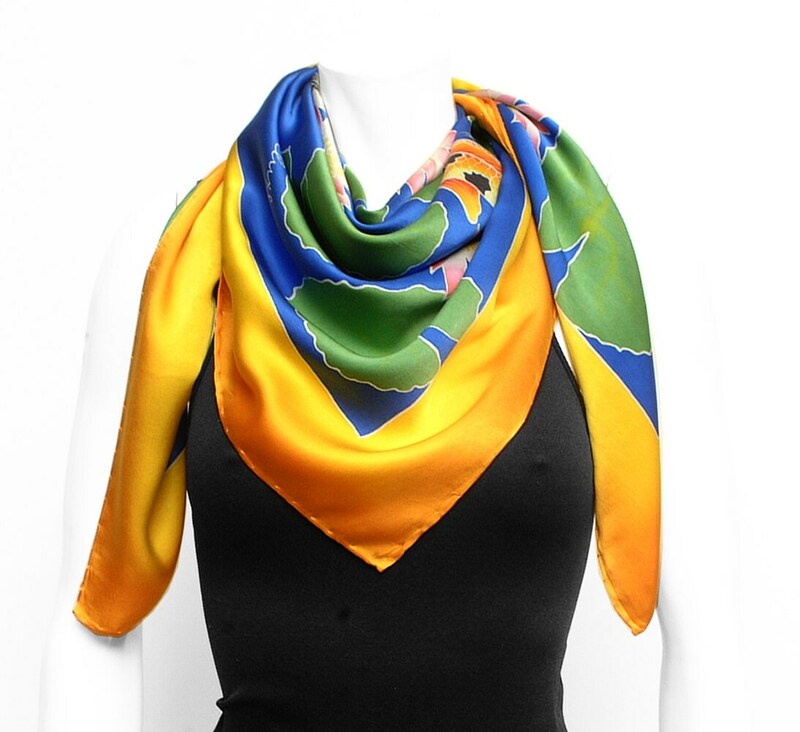 It is painted on very high quality silk giving you a luxurious feeling of wearing a very special fashion accessory. 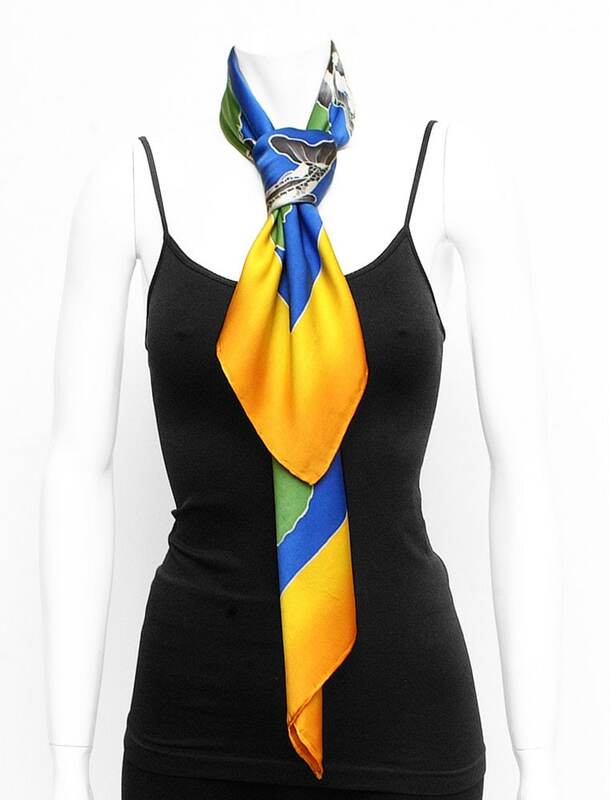 A perfect gift for a friend, girlfriend, wife for a Christmas, birthday, anniversary or Mothers day. 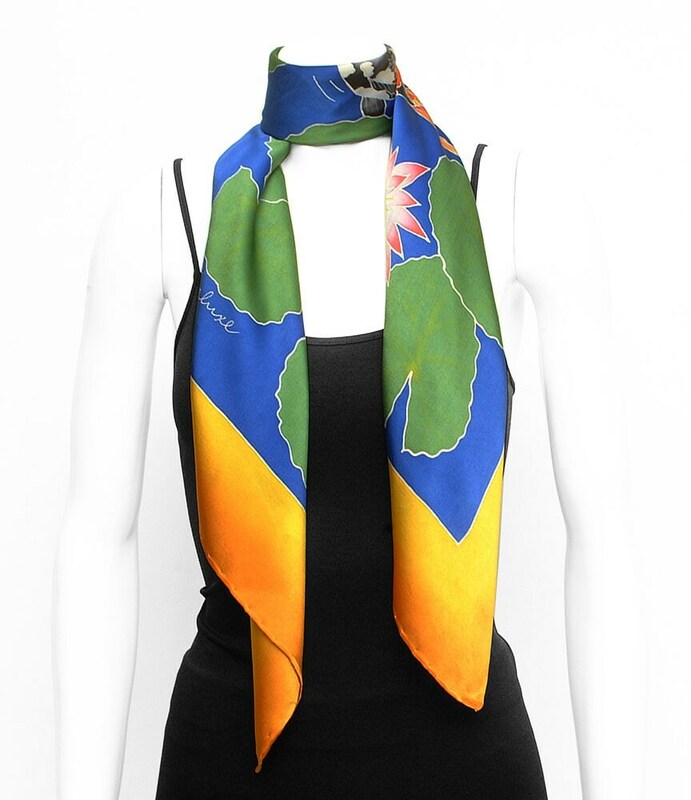 This scarf is painted on a top quality Charmeuse silk (100% pure silk) with professional quality silk paints.